The BEST Maryland Style Lump Crab Cakes recipe made hundreds of times at our meal assembly store. These are quick, easy, eggless and can be baked or pan fried. Best of all, you can freeze them and have one or two whenever you want! We LOVE crab at our house. So, after a fun-filled, crab-leg cracking dinner last weekend I decided it was high time that I posted one of my favorite recipes. The main reason this item has been off the dinner rotation for some time is that I hadn’t figured out a way to make them so that my darling daughter that is allergic to egg and soy could enjoy them too. You see, a little mayonnaise holds everything together in this recipe. Then, along came egg-free, soy-free mayonnaise, and now we are in business. 🙂 Another variation that is equally tasty: Easy Baked Crab Cakes made with Avocado. It’s a lot less work to enjoy crab in this tasty little cake. The caveat is the crab has to be the star of the show. There can’t be more bread than crab…no, no, no. That is why these cakes are deserving of the title “Maryland style” crab cakes. They boast the perfect combination of crab meat, breading and seasoning. Can you see the crab poking through. Nothing signals the start of summer (or a special occasion) like crab cakes. I love ’em over salad greens with red wine vinaigrette dressing. 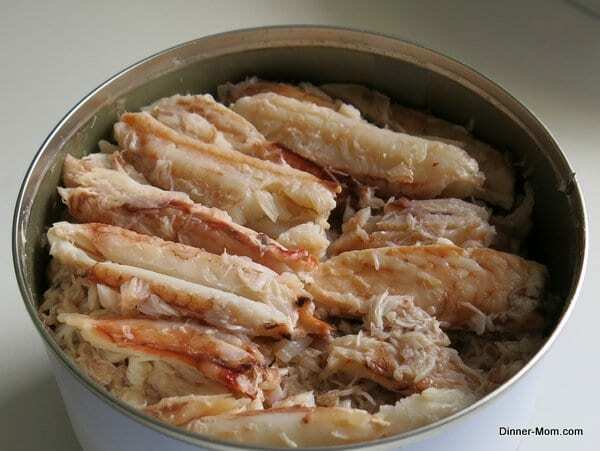 It all starts with a good can of pasteurized crab meat that you find in the refrigerated section (not the canned food aisle) of the grocery store. Select the best crab meat based upon your budget. The different grades of crab meat are determined by where the meat is on the crab. Prep all of your ingredients first. Crush about 28-30 saltine crackers in a plastic bag and finely dice some onion and celery. Whole wheat, low-salt and gluten-free crackers all work great. Add everything, except the crab meat, to a large bowl. 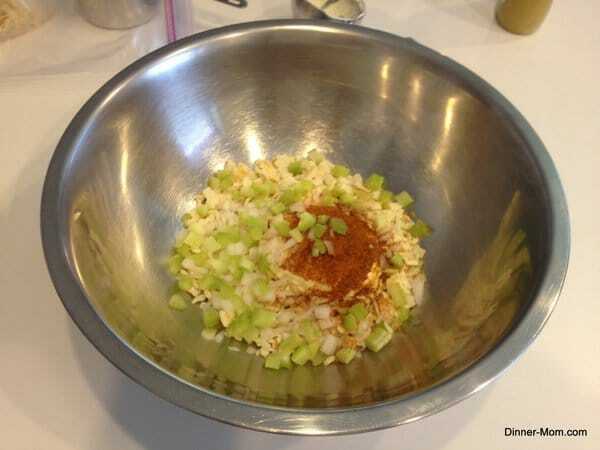 In will go: crushed saltines, onions, celery, mayonnaise, spicy brown mustard and Old Bay seasoning. 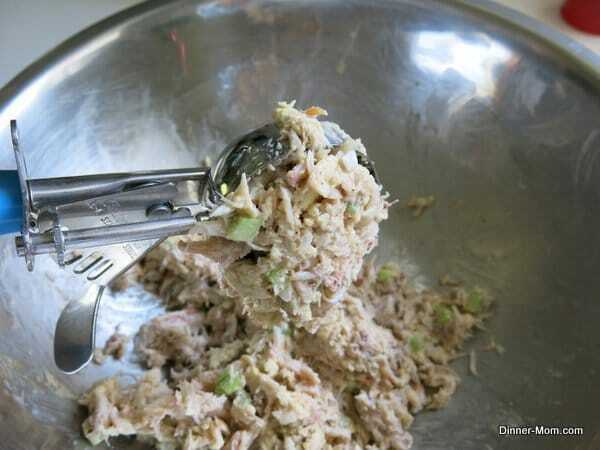 Mix to combine and then gently fold in the crab meat. It is important not to overhandle the delicate crab meat. Measure out 1/4 cup of the crab mixture to yield 12 crab cakes. I love my #16 disher scoop for this job. You can make them smaller or even appetizer sized. I find that anything bigger than 1/4 cup is too tricky to pan fry. Compress the balls tightly into a slightly rounded patty. Don’t flatten them. 🙂 It’s helpful, but not absolutely necessary, to let cakes rest in the refrigerator for up to an hour to completely congeal. You have two choices for cooking the crab cakes: pan fry or bake. I pan fried the ones in these pictures because I like them a little crispy on the outside. To pan fry: Heat about 1/4 cup of olive oil in a frying pan over medium-high heat. Add about 4 patties to the pan at a time. Cook for about 2-3 minutes on each side or until golden brown. Carefully turning just once. They are very fragile. Remove them to a plate lined with paper towels and let them drain and rest for about 3 minutes. Tip #1 You really must resist turning the crab cakes multiple times. Perhaps you will need to sacrifice one crab cake so you can peek under it and get an idea of timing, etc. But, that’s it. Tips #2 Don’t be a crab cake smasher with your spatula, at least not on the first side. Keep the crab cake in it’s slightly molded shape while cooking side one. Once you have successfully flipped it and it has cooked for about a minute more, you can gently press it down just a bit with the spatula. Your self-control will pay off, I promise. Tip #3 Do let them drain and rest for a few minutes after they cook. It allows everything to firm up a bit more. The other option is to bake them, which makes the whole process very easy due to the delicate nature of the cake. And, there is less fat involved. For this method, just bake on a baking tin coated with cooking spray in a 350 degree F oven for 35-45 minutes, flipping once about half way through. And now….enjoy! We like to mix up a little mayonnaise and mustard to serve on the side along with some fresh lemons. I also found some fantastic sauces recipes that would be nice to try like this Louisiana remoulade sauce over at Tablespoon. Make it egg-free and/or lower in fat – Use the appropriate type of mayonnaise. Also, look for whole wheat or low-salt crackers. Also see Easy Baked Crab Cakes made with Avocado. Make it gluten-free: Use gluten-free crackers. 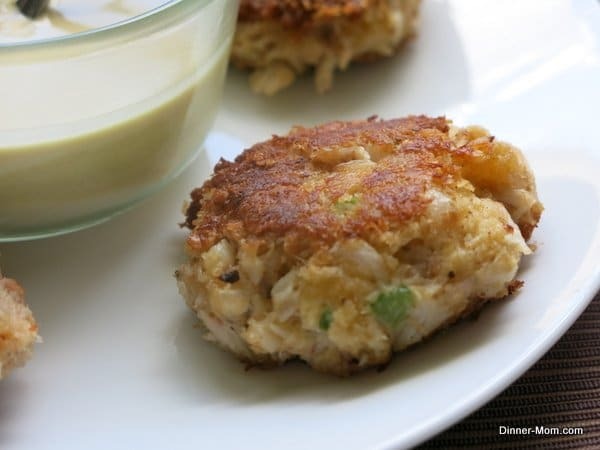 Make it an appetizer – Make tablespoon sized crab cakes (approximately 48 cakes.) It’s easiest to bake this size for about 30 minutes in a 350 degree F oven, flipping once if desired. 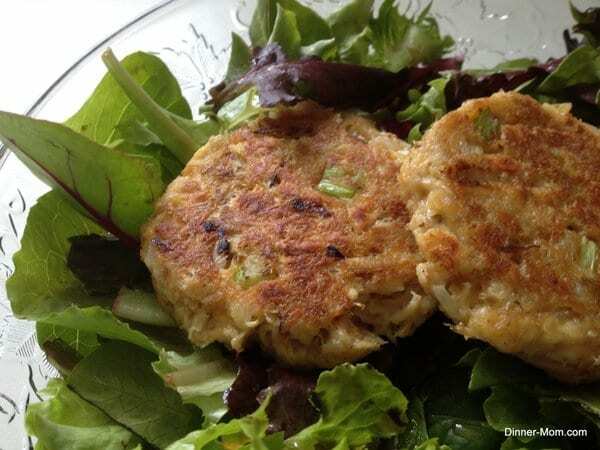 Maryland style lump crab cakes are the perfect combination of meat, breading and spices. Follow the tips and suggestion to perfectly pan fry or bake in the oven. Make ahead and freeze using instructions from our meal assembly store. Combine all of the ingredients except for the crab meat and olive oil in a large bowl and mix just until combined. Add crab meat to bowl, breaking up extra large pieces. 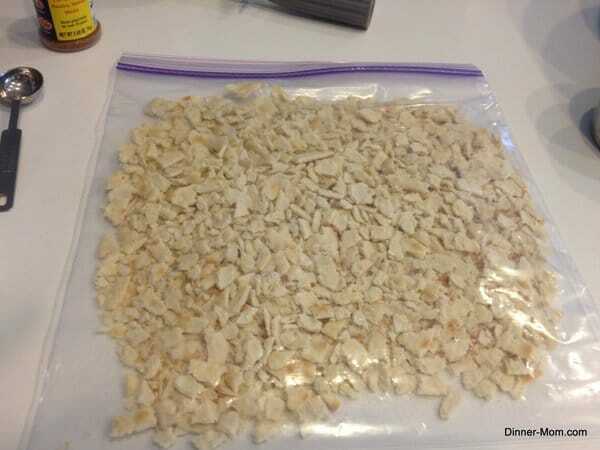 Fold the crab meat into the cracker mixture just until combined allowing some larger pieces of crab to remain. Scoop out 1/4 cup portions of the mixture, tightly compress and form into a small, slightly rounded patties. Heat olive oil in a frying pan over medium high heat. Remove cakes to a plate lined with paper towels to drain for 2-3 minutes. Crab cakes will also set during this time. Place crab cakes on a greased baking sheet. Bake uncovered for approximately 35-45 minutes or until the crab cakes are golden brown, flipping once half way through the baking process. Serve with fresh squeezed lemon or a remoulade sauce. 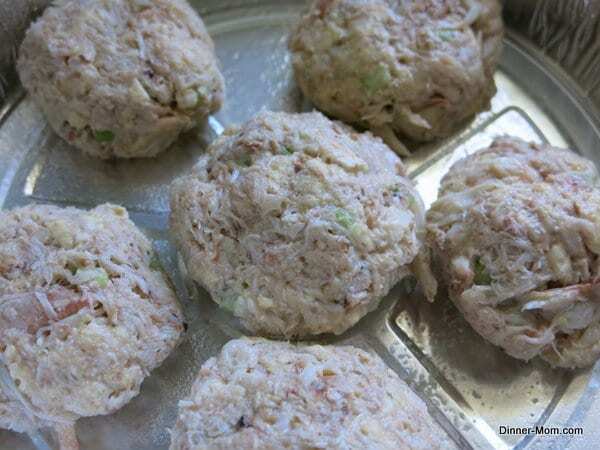 Formed crab cakes may be frozen prior to cooking. Freeze in a covered tin that is wrapped in plastic. Or, freeze cakes on a baking sheet and then transfer to a plastic bag. Defrost completely before cooking. I prefer pan-fried crab cakes. And I live in Maryland and can tell you – these look amazing! 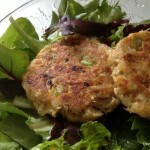 I love crab cakes; we make them often! 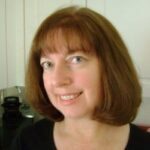 I grew up on the shore of the Chesapeake Bay in Dares Beach,MD. my father would go out to the crabbing boats for our crabs. I would never use pasturised crab meat. I only use a fourth of a cup of mayo for a pound of lump crab and only a small about of bread crumbs in the crab mixture. After forming the cakes I put them in the refrigerator to firm up. Then I fry them in butter and oil. It’s always nice to hear from someone with Maryland roots. Thanks for the tips! 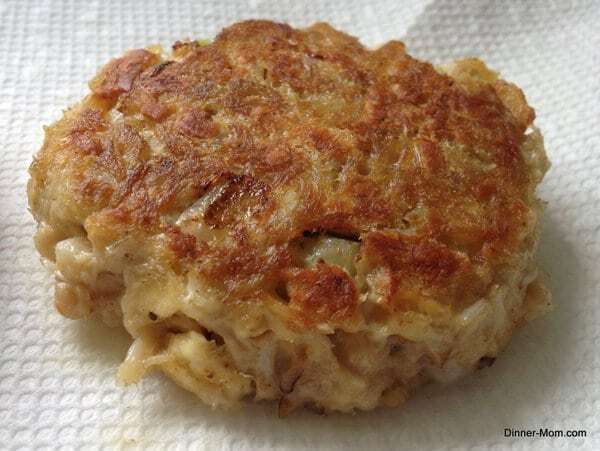 Could you clarify whether the olive oil is added to the crab cake mixture, or if the 1/4 cup is used for pan frying? Thanks! Hi! The olive oil is used for frying the crab cakes! OK…but you should clarify that before you wrote, “…Combine all of the ingredients except for the crab meat in a large bowl and mix just until combined…” Unfortunately, I did not read all the comments until after cooking them, so the crab cakes are a bit soft/soggy. I will try this today. Having lived in Maryland I expect that they will be great based on previous reviews. So easy and so delicious. The taste was perfect. I like having a little crust on the crab cake so this recipe filled the role. This is a keeper. I plan on making these as sliders for football parties. How much old bay seasoning do you use? Up top you said you added it, but it’s not in the recipe below. Hi! 1 teaspoon and thank you so much for your note! I would argue it is not eggless if there is mayonnaise. I have never made crab cakes until today. And wished the olive oil was specified for cooking rather mix all the ingredients. My crab cakes were soggy and crumbled. I’m so sorry that they did not work out! We tried to carefully specify…combine all of the ingredients except for the crab meat and olive oil. I adore this recipe. My crab cakes were a hit with the husband and I! I did change a few things up. I used a Chipotle aioli mayo and a smoky New Orleans seafood seasoning. I didn’t use celery or onions (I just moved and had to throw some veggies away that sat out overnight.) I used yum yum sauce(japanese hibachi sauce) and low sodium ritz-esque crackers. It was delicious! Thanks for the recipe. Thanks so much for your comment. Love the twists that you made. They sound delicious!